In February 2016, I officially became a member of The Writers’ Union of Canada. 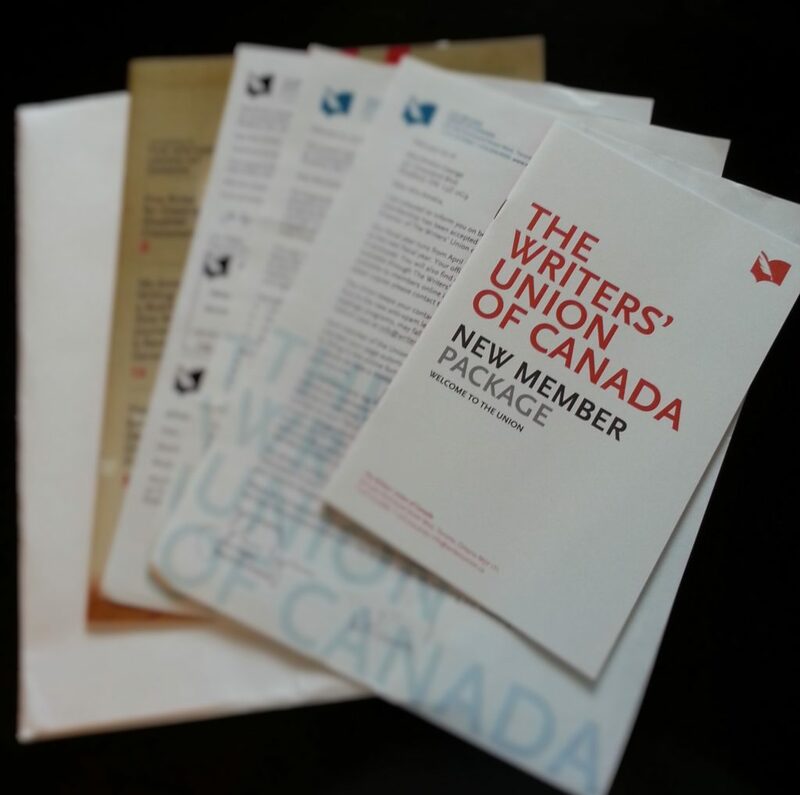 Hey all, as of February 2016, I officially became a member of The Writers’ Union of Canada. My profile can be found online here. Becoming a member of The Writers’ Union has been on my bucket list since I first attended a Writers’ Union conference five years ago. I received a complimentary pass to attend as a Humber College School for Writers student and, at that time, learned that becoming a TWUC member is application based and dependent on having a published book that is recognized as successfully demonstrating commercial intent and professionalism. There are many organizations for writers that allow you to sign up for a fee and require no previously published work, but TWUC is not that kind of organization. In other words, at that time, I saw membership to the Writers’ Union as a sign that you had “made it” as a writer. To join the Union, you had to be recognized by your peers as a professional writer – exactly what I always wanted to be. It’s still mind-boggling for me to think that now, five years later, I am a Writers’ Union member – a professional writer with a book on its way – and I will actually even be presenting at the next Writers’ Union conference this summer (more on that later)! By my past self’s definition, it feels like I’ve “made it.” From this vantage, I’m not too sure what “making it” in the writing world really is anymore. Perhaps it’s seeing my first book do really well. If that happens, then perhaps it will be publishing a second book, and then a third, and then a fourth… And on and on it goes. I love to set milestones and see if I can meet them. I recognize now that “making it” – in writing and in life – will always be elusive and changing in definition. Needless to say, I was pretty much jumping for joy (clichéd, but true!) when my membership package arrived. I was able to look back on myself and say I’ve achieved at least one of the definitions of “making it” – at least in my little world. Looking forward to sharing more news with everyone soon! Hey all, It’s almost time! In less than a month, Shade will officially launch. If you’re free Thursday, May 5, come out for the official launch of Shade and three other amazing Inanna books. It will be a great evening of readings from all four of us authors as well as appetizers, drinks, some live music, and the chance for Q&A. When: Thursday, May 5 from 6 p.m. to 8:30 p.m.
I’ve been off work for the last couple of weeks due to (a) our office’s holiday closure and (b) vacation time pre-maternity leave. As a result, I’ve been systematically working my way through my to-do list of things to organize our home and my life pre-baby. One of my maternity leave resolutions was to stay away from social media – ironic as my official title at work is actually “Corporate Social Media Specialist.” But I wanted to stay away from the personal, zombie-like addiction to social media that I often found myself in – the wake-up-and-scroll-through-Facebook/Instagram/Pinterest/Twitter/Goodreads/Fitbit/BabyBump-first-thing-in-the-morning addiction. The don’t-forget-to-check-Facebook/Instagram/Pinterest/Twitter/Goodreads/Fitbit/BabyBump-before-bed kind of addiction. I think I’ve done as well as could be expected over two-weeks, but placing timelines around my personal usage has certainly freed up my time for more productive forms of social media in my life now that I’m not managing work accounts. And so enters my official Facebook author page. I’ll be using this platform to communicate with people/organizations on Facebook from a professional author perspective, share relevant events, and generally cross-promote across all channels so we can stay in touch in the form you most prefer. I’d love to connect with you! Like the page at https://www.facebook.com/miaherreraauthor or via my Facebook page widget on this site. Looking forward to connecting more with everyone soon! As the title of this post indicates, this past week, it happened… Shade was officially announced as a forthcoming book on Inanna Publications’ website and social media channels and was added to Amazon.ca for pre-order! I shared the Amazon link on my personal Facebook page for those interested in pre-ordering (post below) and was absolutely floored by the response. And it’s true. Quotes like the one above got me through days when all I felt about my writing was frustration. Self-doubt and questioning and the constant second-guessing always creeps in. But for now… I’m jumping with joy and looking forward to the great year to come. With that being said, check it out. Shade is available for pre-order on Amazon, everyone! Reserve your copy today! I am beyond thrilled to announce that my book, Shade, will be published Spring 2016 by Inanna Publications. It will be launched May 5, 2016, to be exact. Shade follows the travels of a young woman named Benni, who is born and raised in northern Ontario. After her plans for the future are disrupted, she seeks escape from her every day routine by visiting her father in the Philippines – the fantastical land of ghosts and glamour that her parents described to her as a child. Over two weeks, Benni finds much more than she bargained for – the honest, human relationships that come from seeking and reconnecting with family. Stay tuned on details about book launches, readings and upcoming events. Help me spread the news by sharing information about my new book with your networks, tweeting the news or sharing a link. If you’re on Goodreads, let’s connect! You can find my author profile here or book profile here. Early 2014, I joined The Regional Municipality of York as the Region’s first Corporate Social Media Specialist – a dedicated resource to support the Region’s social media and online communications efforts. Since the role was brand new, I was able to shape the position, and I quickly began a flurry of training sessions and presentations to raise awareness about and familiarity with social media in the organization. These activities included a considerable amount of public speaking – something that was new and slightly terrifying for me. I’m a definite introvert and get my energy from being alone. At the same time, however, I was grateful for the challenge to step outside of my box and work on skills that I was previously unable to practice. A few months after joining the Region, I was invited to attend a meeting for TROY Toastmasters – York Region’s corporate Toastmasters club. I’d heard of Toastmasters previously, mainly through my father, who has worked in a number of positions that has required him to assume roles in spotlights. He mentioned the merit of Toastmasters to me in the past but, short of being invited and escorted to a meeting, I never thought of actually seeking out a club. I never thought I’d enjoy the Toastmasters experience so much. As a corporate club, TROY Toastmasters is somewhat smaller than public clubs. As a result, there are more opportunities to speak and participate. I enjoyed the opportunity to willingly step outside of my comfort zone with a supportive group of people and practice the various skills needed for effective public speaking. Furthermore, the certification process of Toastmasters appealed to my very process-oriented self. I enjoyed the clear guidelines, supportive reading material and step-by-step guide on how to go from step A – delivering an initial Ice Breaker speech – to the final step of being deemed a “Competent Communicator” (CC). Each step in the process also included a peer evaluation to provide constructive criticism. 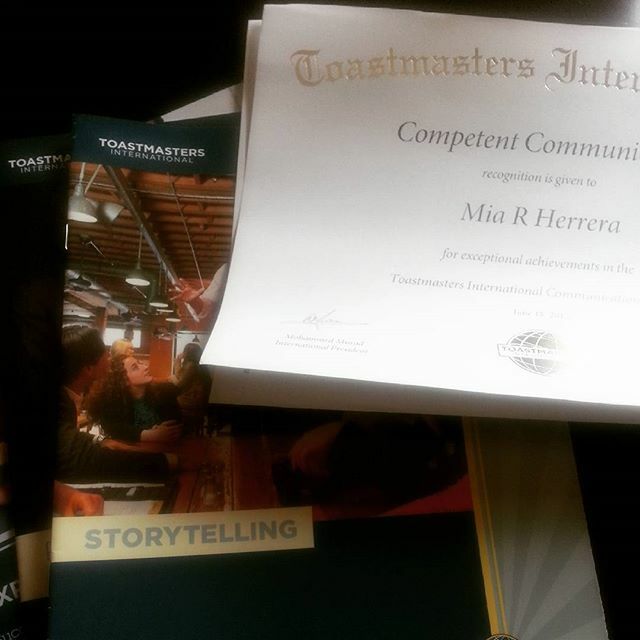 I began my Competent Communicator journey in the fall of 2014 and secured Competent Communicator status by July 2015. My first few speeches focused entirely on work – offering mini training sessions on social media and conversation “netiquette.” As I progressed, however, I began offering speeches on more personal topics, which I found much harder to do. Speeches that delved into the benefits of writing and why I personally write and speeches that shared information about me and my personal life. The process forced me to learn and grow at every step. Once securing your CC, Toastmasters encourages you to explore more refined levels of communication and leadership by using advanced manuals. They send you two advanced manuals for free as part of a reward for obtaining your CC. I chose Public Relations and Storytelling. The first for work, the second for writing (a whole other kind of work). I’ve found over the years that I’ve learned a few key things about my personality: I love a challenge. I like the reward of certification or course completion – I’d be a lifetime student if I could afford it! And I’m happiest when work meets my passion – my Toastmasters experience of being able to hone my professional skills while exploring those related to writing being a prime example. I’m looking forward to continuing my Toastmasters experience. I’d love to hear from you: Have you ever considered a Toastmasters club? What key things inspire you? On June 24, I attended a Flash Assessment Lunch n’ Learn hosted by Diaspora Dialogues, where attendees had an opportunity to submit a query letter and one-page sample of work, to be pitched to and reviewed by Noelle Allen of Wolsak and Wynn, Jack David of ECW Press and agent Carolyn Forde of Westwood Creative Artists. I had attended only one similar session in the past, hosted as part of an International Festival of Authors Master Class. This lunch n’ learn was far more intimate, with fewer submissions being reviewed and each author given approximately fifteen minutes to pitch the idea, receive feedback from the panel and ask questions. I submitted a query letter and first page for my second novel – a police thriller tentatively titled White and Blue. I’ve had the idea for this novel for quite some time, though the entire novel is far from written. I’ve written the first fifty or so pages of it, but will likely scrap it to begin fresh again. After my experience with Shade, this writing and rewriting is less stressful. However, I was curious to see how the concept and first page would be received. 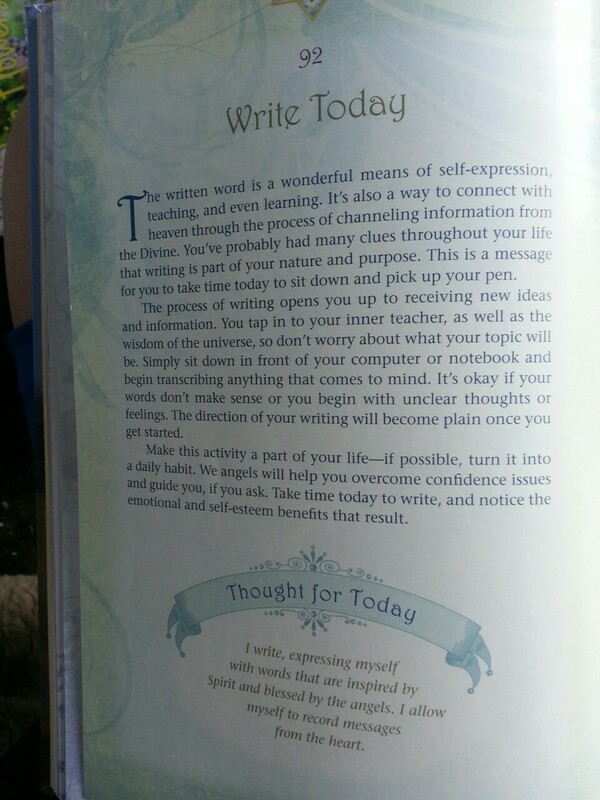 Write, write, and write some more. I know this. Every writer knows this. And yet, as I’m sure most writers can attest to, sometimes the writing is painful. A good concept is all well and good, but it doesn’t matter if the writing isn’t there. As Jack David said, the idea is intriguing, but the writing is what matters. Jack mentioned he thought the concept might be difficult to write in a compelling manner. Little does he know… I love challenges. And hearing him say that the idea was good but needed a solid writer behind it has given me that extra push to bring this all to fruition. In the end, the experience reinforced something that I’m sure we all know deep down: the writing speaks. Having a solid query with no substance is pretty much being like any other person who says “Hey, I have a great idea for a book that you should write.” In short – it’s not being a writer. Treat every interaction as an opportunity. I’m a pretty shy person, and I found myself stressing just a little pre-workshop – the part where we got our lunch and settled in. It’s not that I don’t enjoy talking to people, it’s just that I have this little internal monologue that always worries about being talking too much or talking too little, saying too much or saying not enough, and on, and on, and on. It makes for difficult conversation. What I learned from observing other participants around me … If you’re presented with the opportunity to be in a room with two publishers and an agent, seize that opportunity. Make small talk. Network. Be a social butterfly. If you don’t take every interaction as an opportunity to network (and I don’t mean shamelessly dump your book on someone, but more as an opportunity to connect with someone on a human level), you’re wasting it. Read the room. If every person is given fifteen minutes to speak, share relevant information and respect everyone’s time. Trying to talk about the next, next, next book you’re writing, fit in two pitches, or see if you can find – through those panelists – an opportunity to pitch to Hollywood or the gaming industry, is unfair to the panelists and the other participants waiting for their allotted workshop time. Be prepared. In preparation for this meeting, I fine-tuned my query letter, tried to take one more stab at page one of my novel, and sent it off, praying it was up to snuff. When I arrived at the event, I realized I wasn’t sure what to do. Were we going to sit and listen to feedback but not have an opportunity to ask questions or pitch (similar to the IFOA workshop I attended)? Were we going to have to do our elevator pitch? These are questions I should have asked before the event. I strongly admired one of the workshop attendees who not only came prepared with a spotless elevator pitch, but with samples of her previous work and a business card, too. That was the one workshop participant who received a, “Hey, can you send me more?” request, and it was very well deserved. Again, I learned that you need to seize the opportunity for what it’s worth and arrive prepared. Be human. Coming into the workshop, I wasn’t sure how much of me I should share. I left out any personal backstory from my query letter and avoided talking about myself during my book pitch, only for the panelists to ask – Who was I to write this book? Where did this idea come from? What previous work had I written? These were questions that came up for many other attendees as well, and one thing it made me realize was that, when speaking to people (publishers and agents included), it’s one thing to talk about The Work, but it’s far more engaging when you can connect on a human level. If I were to have a re-do of the event, I’d come with the realization that I should be selling myself (in a completely non-seedy way) as well as the work. The Work and I are part and parcel. Share the human side, too. The above are just a few points I learned from my Flash Assessment experience. It was a great learning experience. Attendees had the opportunity to speak one-on-one with amazing panelists, and the discussion was engaging and educational, even when not directly related an individual’s work. On the whole, the session was just right in length, with enough time being allotted to each writer so writers didn’t feel either neglected or bored listening for too long to one critique. My favourite element of this session: Being able to pitch, receive critique, and ask questions in such an intimate setting. Thank you, Noelle, Jack, and Carolyn, for the valuable feedback, and thank you once again, Diaspora Dialogues, for organizing a great event! 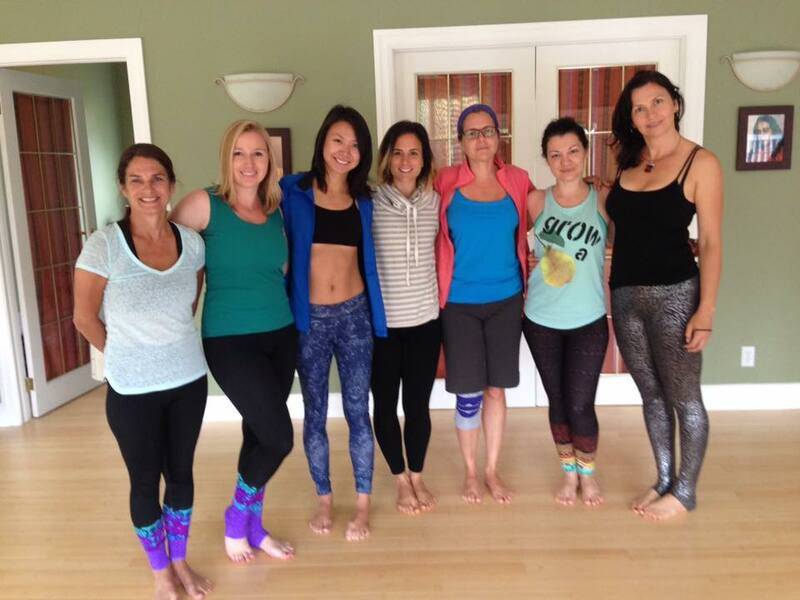 This weekend, I visited the Lotus Heart Centre in Brighton, Ontario for a yoga retreat. Since taking a hiatus from blogging for a little while, I’ve neglected to mention a few key activities I’ve been participating in, one of them being yoga teacher training. I signed up as yoga teacher trainee (YTT) October 2014. I’ve been a yoga student on and off for years and was thinking of joining the YTT program for the past two years, but finally decided to join after moving to Bradford last year to get more involved in the community. The YTT journey has been an amazing one, and far more complex than I anticipated. You can ask any yogini and she will tell you the same thing: Yoga is more than just physical poses; it’s something that requires body, mind, and spirit, and it calls for great perseverance, patience, and practice. The Lotus Heart Centre retreat brought all YTTs from all three sister Ananda Yoga studios (located in Bradford, Aurora, and Georgina) together. As with the rest of the YTT program, the retreat gave me an opportunity to get to know some amazing people and focus deeply on my yoga practice. Leading up to the YTT retreat, I was looking forward to two full days of uninterrupted yoga practice. I didn’t count on the amount of introspection the retreat encouraged as well. The retreat and the amount of time allowed for meditation gave me an opportunity to think about my life, assess where I am, and determine how I feel about it. The YTT retreat also helped me realize how important writing is to my personality. (Yes, somehow I always end up back at writing). I noticed it first at the Bradford studio last Tuesday. There was a book on the shelf – one of those ones with 365 intentions – “messages from your angels.” I picked the book up, flipped to a random page, and found the following message (image on the right). I thought it was coincidental – writing being such an important (and yet sadly neglected) part of my personality and landing on this page. But then, yesterday (Saturday) night, as we were waiting for meditation to begin, a lady beside me pulled out a deck of oracle cards – coincidentally cards that were apparently from our angels again – and the card I was handed told me that I need to clear my mind to be more receptive to messages the world was giving me – whether these were messages from strangers that seemed to be hitting close to home or messages that seem to be coming up repeatedly. Finally, during our last vinyasa practice this morning (Sunday), each student received a random intention card to read after they completed their practice. I looked at mine to find that it was a card all about expressing myself – about finding my creativity and finally voicing it. It was at this point that I realized there is no single part of myself that I can separate out from the rest. A little while ago, I began drafting a blog post about how it seems that so many parts of my identity are compartmentalized – from what I do at work, to what I do at home, the person I am with friends, to the person I am with family, the hobbies I pursue in the yoga studio, to the hobbies I pursue in my notebook… all wildly different parts of myself that, oftentimes, don’t meet. But I realize now that, no matter how varied these parts may feel, in the end, it all leads right back to myself. Becoming a yoga teacher has taken a lot of my time and attention, but it doesn’t make me any less of a writer. If ever, it’s enriched my ability to look inside myself and figure out exactly what I want to say. Even better, as I’ve seen this week, when I am having trouble finding my voice, it gives me an opportunity to reflect and find myself. 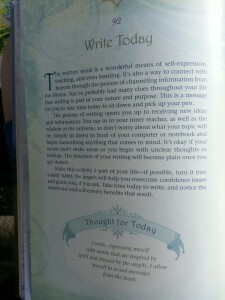 This blog, though varied, often has a narrow focus on me as a writer. It includes posts about readings, launches, and the writing process itself, as well as information about articles I write and reviews for games I play. I now realize I need to take a more holistic approach to this blog to fully explain exactly who I am and what my writing is all about. I’ll try better in future. As my angels have said, the more I listen to what the world is saying, the more creatively I can express myself. And with that being said, from my yoga self, from my writing self but, most of all, from myself – from my light to yours – namaste. P.S. I’ve officially added a new category to my website: Yoga!